The economy white tarpaulin is a cheaper yet effective way of protecting building materials, trailers and boats from poor weather conditions. Manufactured from polyethylene weaves and laminated on both sides, this tarp is fully waterproof and UV protected. The weaving structure gives the sheet increased strength and durability in order to reduce the chance of tearing. Eyelets, with an internal width of 11mm, are inserted every metre in to the hems on all sides of the tarpaulin. Additionally the hems are rope reinforced to improve the strength around the eyelets and decrease the risk of ripping when put under strain from wind and other forces. 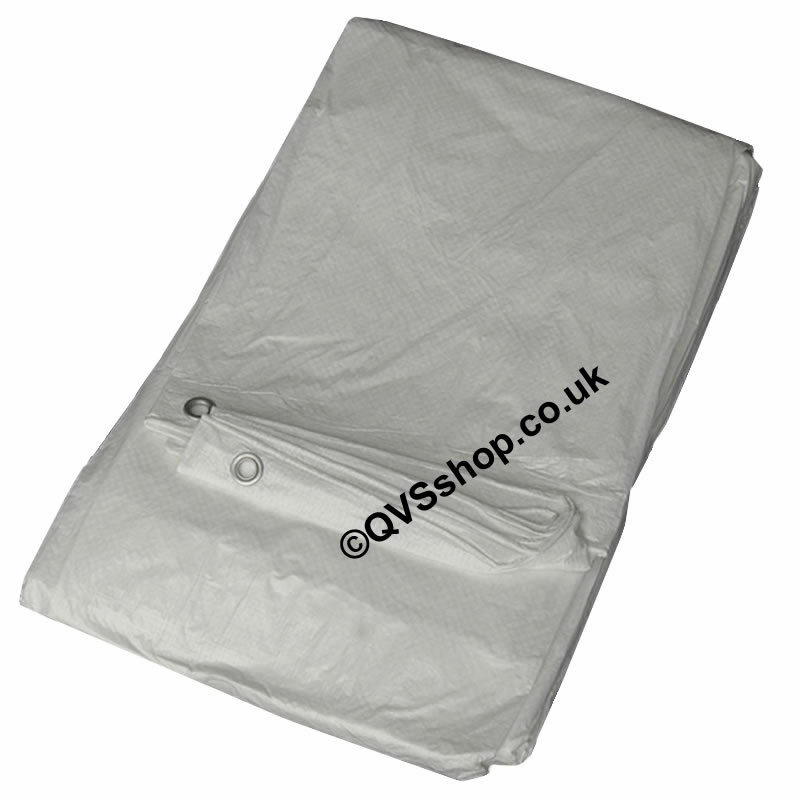 The weight of this white tarpaulin is 80 grams per square metre; therefore this is a lightweight cover allowing it to be easy to handle and move. This product is an ideal builders’ sheet as well as being a fantastic solution for a cover in the home or the garden. Additionally it can be used as a ground sheet for many different purposes; such as in a building site, in a gazebo or marquee, and when camping. Also another common use for this tarp is temporary roofing on sheds and garages. This colour is available in 6 sizes only but other sizes are available in green or blue. HDPE lamination on both sides. Rotproof, shrinkproof and UV resistant. Sizes available: 4.5m x 6m, 5.4m x 7m, 4.5m x 9m, 7m x 9m, 7m x 11m, 9m x 14m.